Load Notices are used to give information on the proper directions for use of storage equipment, the supplier of the equipment and the code of practice that it has been supplied under. A SEMA requirement for all racking and shelving installations, load notices must include a guide for the correct use of and the capacity of the storage system, they should also state the supplier’s contact details, the project number and the date of the installation. The details on the load notice only apply to the rack it is mounted upon; therefore multiple rack configurations should have the same number of load notices. Different storage equipment will have different ways of indicating the load capacity of the system and there may be multiple figures to give for each installation; racking could include maximum pallet load, maximum bay load and maximum load per pair of beams. 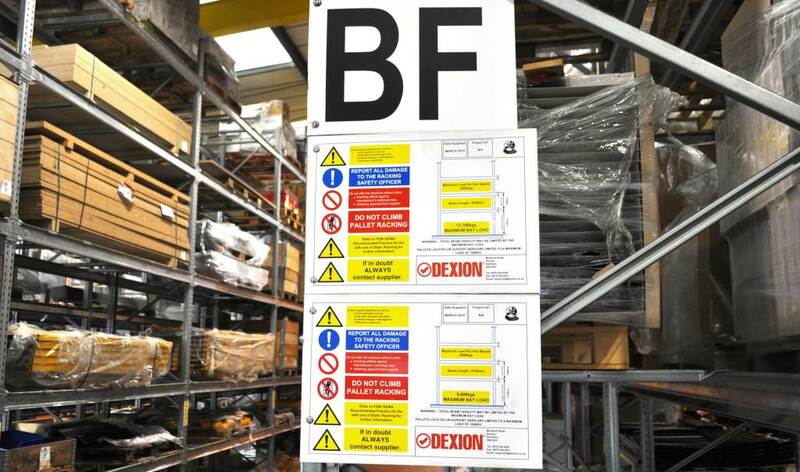 The load notices required should be readable for both pedestrians and forklift truck drivers and displayed at regular intervals on the installation where they are easily observed.